The second great war left a permanent mark on the world, and particularly Europe where a majority of the conflict took place. The impacts of World War II can be seen across Europe and serve as a reminder of the gravity of the war and tragedy that ensued. Today, these sites can be visited to gain a greater understanding of what happened over seventy years ago and provide the context of what students learn about in their textbooks and classroom lessons. Discover our list of the five most impactful and must-see World War II sites in Europe. Auschwitz-Birkenau concentration camp is located 45 minutes outside of Krakow, Poland and was one of the deadliest Nazi death camps. Entrance to the grounds are free, but we highly recommend booking a tour to learn more about the people who perished here and how the camp operated during the war. The concentration camp was in operation from May 20, 1940 until it was liberated by Soviet troops on January 27, 1945. 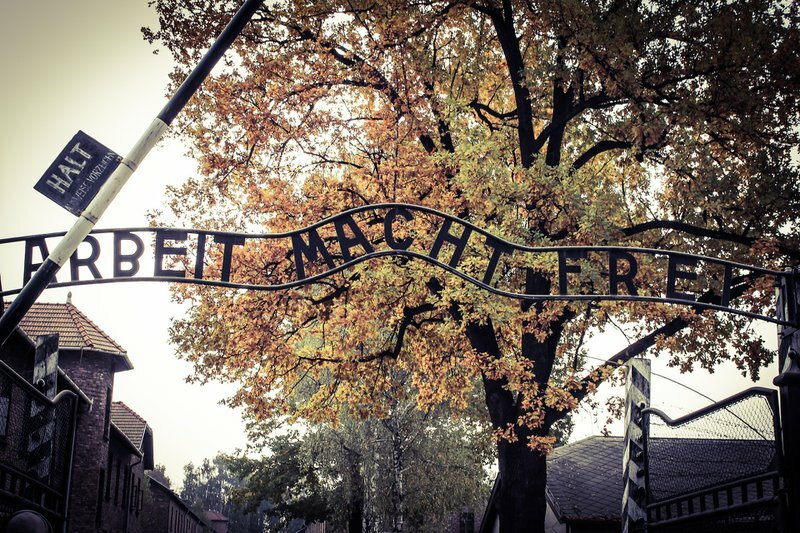 Visiting Auschwitz-Birkenau is incredibly chilling and elicits a emotional response that can’t be explained until you experience it for yourself. The beaches of Normandy, France are the site of historic D-day which took place on June 6th, 1944. D-day marks the beginning of the Battle of Normandy which lasted from June 1944 until August 1944. An estimated 2,000 American troops lost their lives storming the beaches and thousands more were wounded or missing in action. 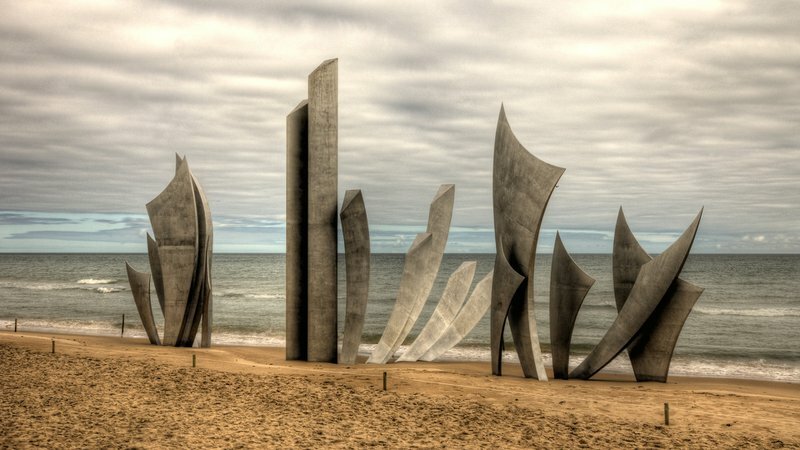 Today, you can visit the Les Braves Omaha Beach Memorial, the sculpture was created by Anilore Banon and consists of three specific elements explained by the sculptor. 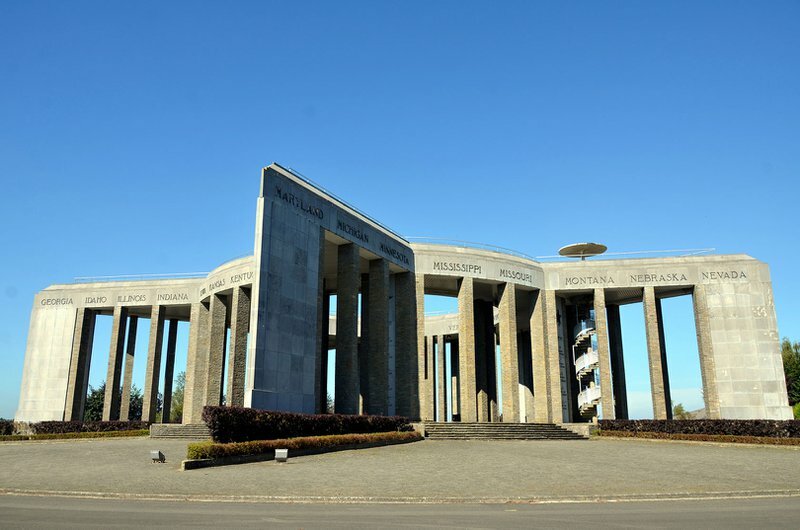 So that the spirit which carried these men on June 6th, 1944 continues to inspire us, reminding us that together it is always possible to changing the future. So that the example of those who rose against barbarity, helps us remain standing strong against all forms of inhumanity. So that this surge of brotherhood always reminds us of our responsibility towards others as well as ourselves. On June 6th, 1944 these men were more than soldiers, they were our brothers. In one of Hitler’s final offensive attempts, the Battle of the Bulge was the deadliest and most desperate battle of the war in the west in the heavily forested Ardennes in the Nazi’s attempt to reach Antwerp. The battle took place from December 16, 1944 until January 25, 1945. The line defining the Allied front took on the appearance of a large bulge, which is the reason for the name of this historic battle. The Mardasson Memorial, pictured above, is a monument honoring the memory of American soldiers wounded or killed during the Battle of the Bulge. There is also the Bastogne War Museum, which provides a picture of how the civilians lived during the occupation, during the battle, and afterwards. The consequences of what was one of the most impactful and deadly battles bring this part of history to life. 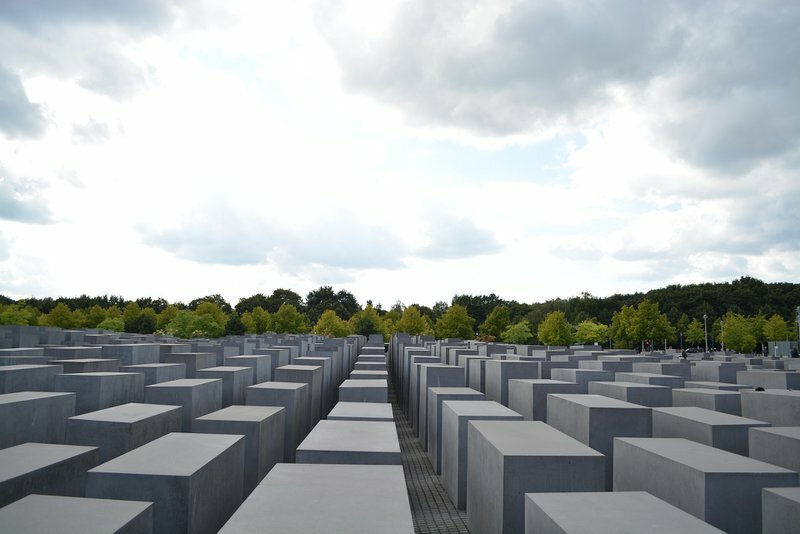 The memorial was designed by New York architect Peter Eisenman and opened in 2005 in the center of Berlin as a place of remembrance and warning of the atrocities of the mass murder of Jewish peoples across Europe throughout World War II. 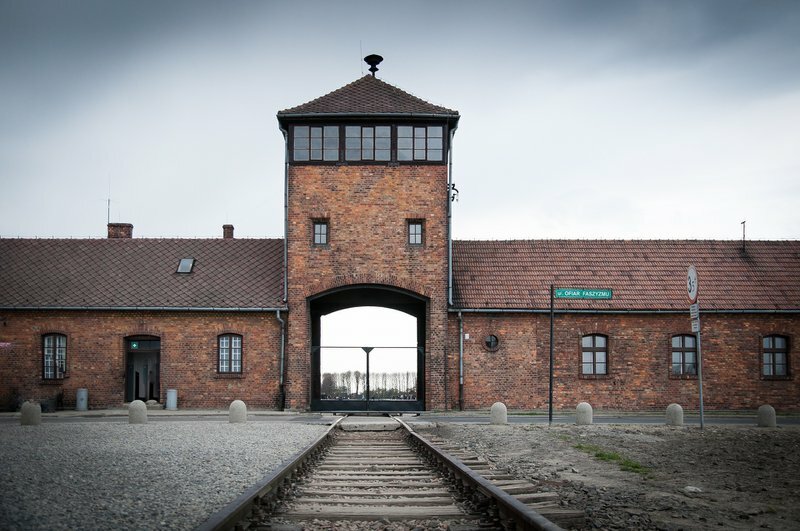 The exhibition at the Information Centre documents the persecution and extermination of European Jews as well as note the historic sites where the crimes took place. 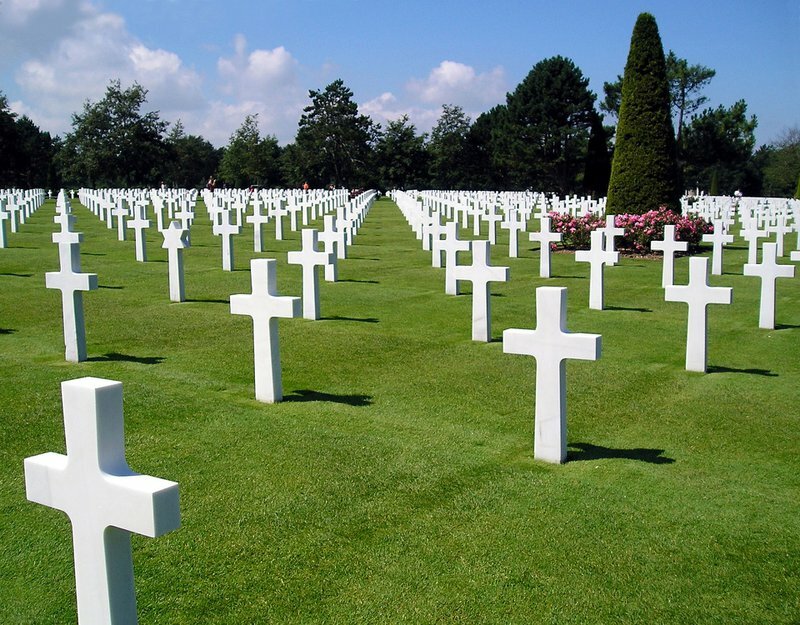 The Normandy American Cemetery covers 172.5 acres and contains the graves of 9,385 American military, most of whom lost their lives in the D-Day landings and subsequent battles. There is also the Walls of the Missing, on the east side of the memorial which contains the names of 1,557 soldiers who remain missing in action. This site is the first American cemetery on European soil in WWII. The perfectly aligned white crosses allow visitors to take in the tremendous impact the war had and reflect on these events that took place.